As newspapers and magazines increasingly welcome the digital world by taking their content online, the common way to monetize is via paywalls. As a reader, you’ve probably been reluctant to pay for a monthly subscription when all you want to do is read one story. 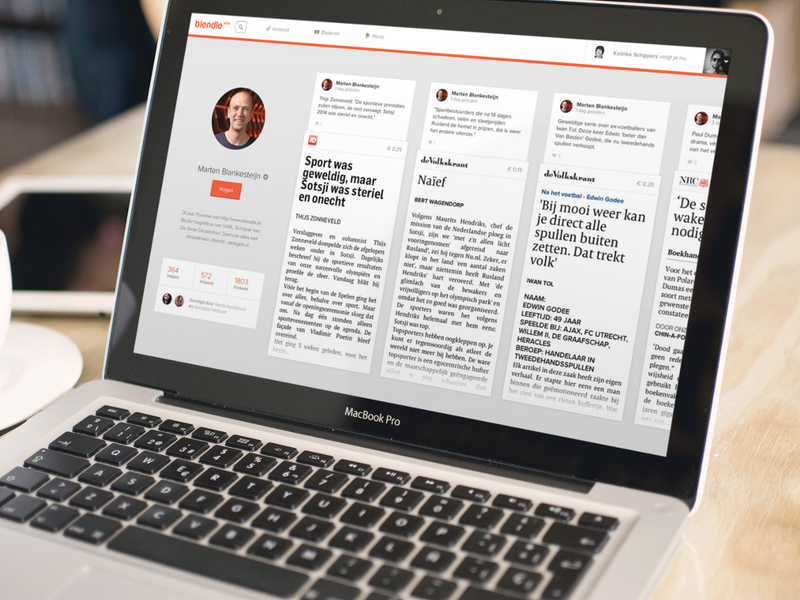 Blendle, a journalism startup from The Netherlands, is out to change the scene by introducing the iTunes model for journalism. This has been a hot topic for quite a few years already, and this pay-for-what-you-read model has already been applied to niche areas of publishing, but bringing it to mainstream journalism will be taking a huge step forward. If anything, the music business has taught us that consumers want a simple way to pay for content. As a consumer, you only want to pay for content you actually consume, you want algorithms and social to help you filter, and you want everything in one place. While consumers changed, newspapers and magazines didn’t adapt. Recently, the two founders of Blendle united the major newspapers and magazines in the country under one roof, so all their articles are available in one Web app with just a single pay wall, where users will only have to pay for whatever articles they read with just one click. “We think that unbundling of journalism is the Holy Grail in getting young people to pay for journalism again,” Klöpping says. The Blendle app doesn’t only let make it convenient for you to readily access and pay for articles in a single place — it also shows you what articles are trending, and lets you see what stories your friends or curators (such as celebrities, politicians and journalists) have shared. What’s more, you can even search for premium content from newspapers and magazines. If you’re particularly interested in a specific subject, you can also set email alerts containing certain words or phrases. Blendle is still in beta, and it launches officially in Holland in April. The founders promise that other countries will follow — and honestly it’s an exciting proposition that could change the way newspapers and magazines all over the world operate in the online world now. However, it’s going to be extremely challenging to persuade media outlets to license its content to Blendle, so there is probably still a long journey ahead before an iTunes for news may be truly ingrained in people’s lives.